Please contact us with the contact form to report difficulties, strange behaviors or persistent problems, and quote the program name or the number 23009 . 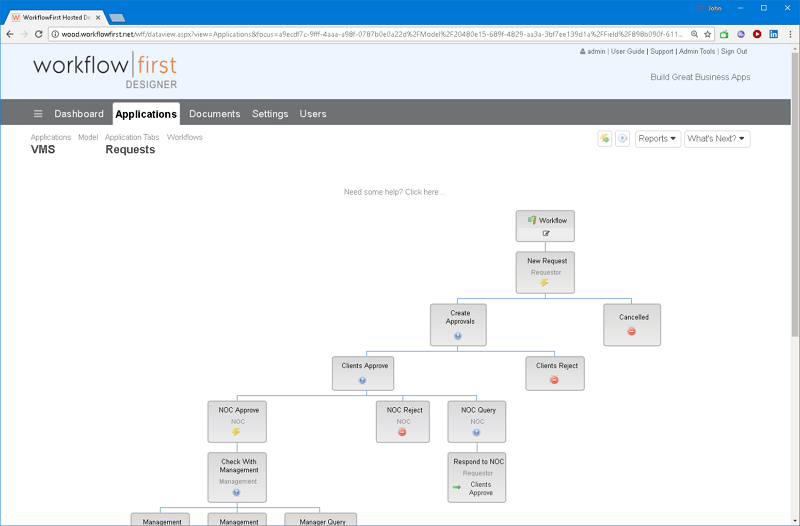 This is the download page for WorkflowFirst - Free Workflow Software and Database Tool. Create forms and sub-forms, add workflow, click publish - it's that simple. WorkflowFirst is a powerful, invaluable tool that every business should download. Fully scalable and full of features such as dashboards, reports, email integration, chatbots and much, much more. With a mobile-optimized interface, so you can access your workflow from anywhere. You'll be amazed at what you can create without any programming at all - but for those who are a little more technically minded there's a powerful scripting language you can use to take your apps to the next level. WorkflowFirst has unmatched security features - with user roles and field-level security so individual form fields can be hidden from specific users. With users throughout the world, WorkflowFirst is a reliable platform that will have your business organized in record time. With a full API support, optional SQL Server, IIS and Active Directory integration for enterprise customers. WorkflowFirst is completely free for small teams and with its numerous sample forms and applications, you'll be up and running in no time.